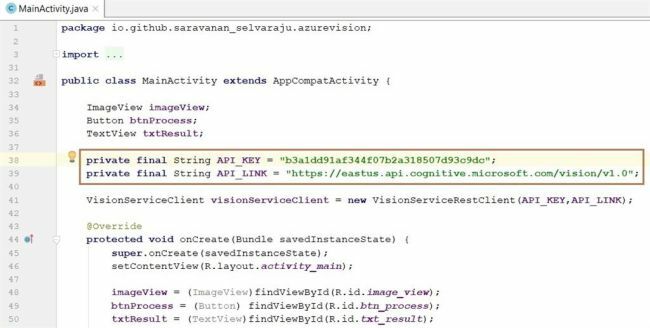 This article demonstrates the Android application interface with Azure computer vision API. It demonstrates image analysis. What is Computer Vision API? Computer vision is concerned with the automatic extraction, analysis, and understanding of useful information from a single image. It is also called cognitive. Computer Vision algorithms can analyze the content of an image in different ways, Computer Vision can find all the faces in an image. 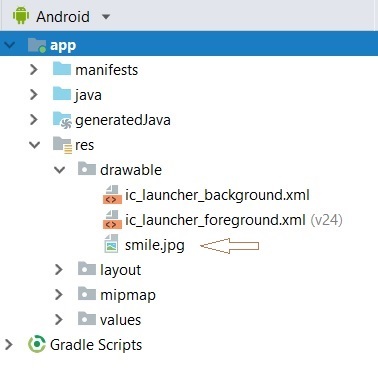 Create a new project in Android Studio from File >> Project and fill in all the necessary details. Next, go to Gradle Scripts >> build.gradle (Module: app).S elect build.gradle. The app gradle compiles the code, and then build types will appear. Just replace that with the following code. Make sure you've added maven central to the list. Change the SdkVersion is minimum level 21. 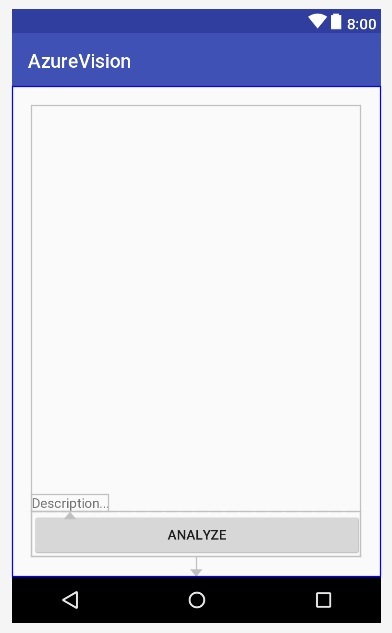 Next, go to app >> res >> drawable, select the drawable directory then paste the given image. Next, go to app >> res >> layout >> activity_main.xml. Select the activity_main xml file then replacing the following code. 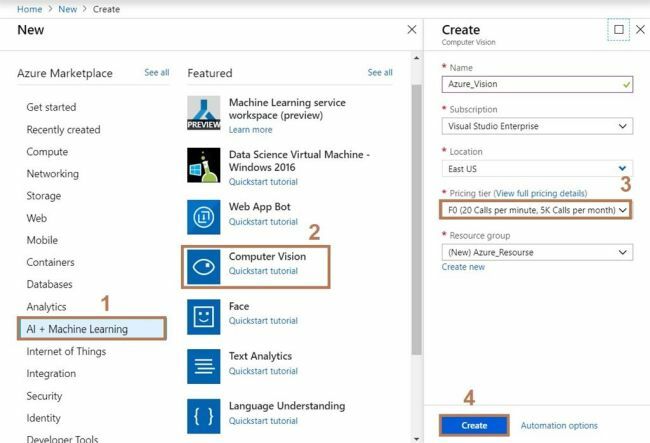 Next, go to the Azure portal (https://portal.azure.com) create resource >> AI + Machine Learning >> Computer Vision. Select the computer vision and fill in all the necessary details then click create button. 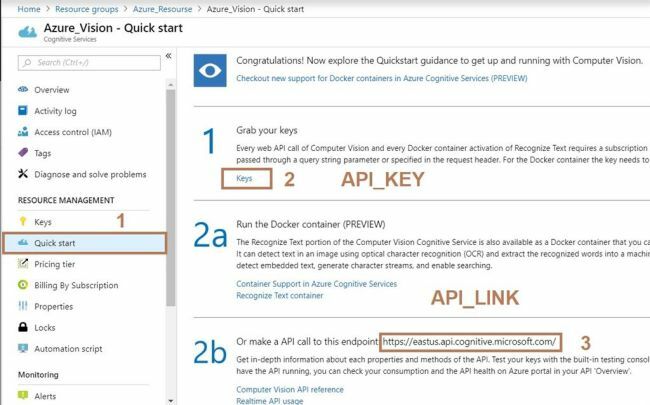 After that get the computer vision API_KEY and API_LINK then click the key hyperlink and keys 1 and 2 appear. 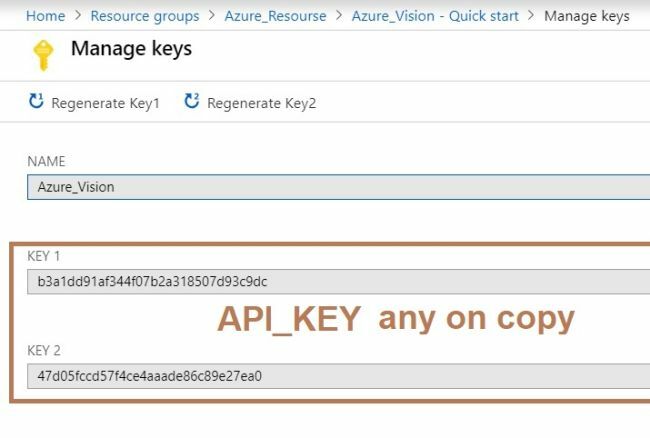 Copy the anyone Azure_Vision key (Key 1 or Key 2). Next, go to app >>Java >> package name. Select MainActivity.java. The Java code will appear. onPreExecute(), invoked on the UI thread before the task is executed. This step is normally used to set up the task, for instance by showing a progress bar in the user interface. Next, go to app >> manifests >> AndroidManifest.XML. Add internet permission to the AndroidManifest.XML file. Next, go to Android Studio and deploy the application. Select Emulator or your Android Device with USB debugging enabled. Give it a few seconds to make installations and set permissions. When I click the analyze button to get the output for "a dinosaur with its mouth open"
Finally, we have successfully created a Computer Vision Android application. Later we will discuss more Android applications.